We’re almost ready for some Six Nations craic at Hatch! The weather may be looking wet wet wet but don’t you worry, we’re installing our big screen under the Mancunian Way so you’ll be well sheltered from any rain. We’ll be showing the Wales vs Ireland and England vs Scotland games with 100 FREE DRINKS (Jameson, ginger and lime) 45 minutes before the kick off of each game on Saturday 16th March. Jameson’s will be set up in a cosy indoor space for you to grab your free drinks from with a pop-up bar, bean bags and games. 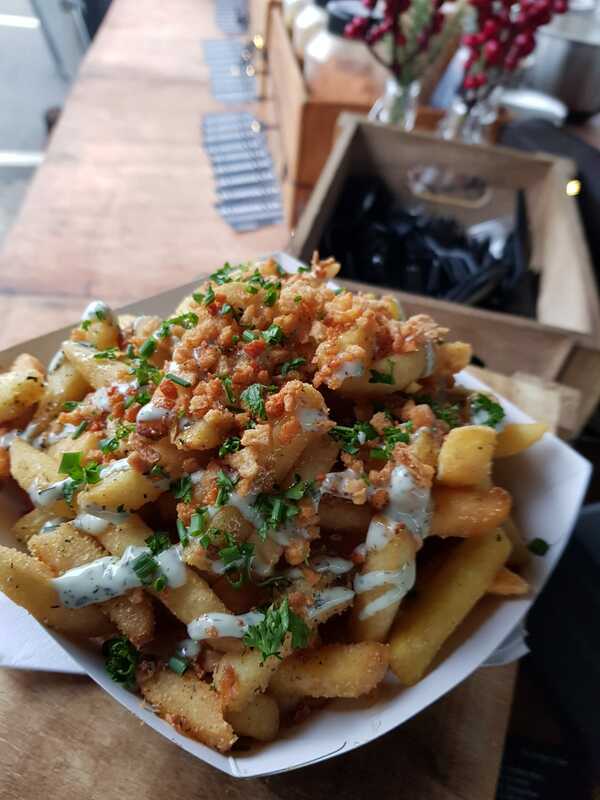 To top if all off the lovely folk at Seasoned: Nothing But Fries are going to do HALF PRICE CHIPS at half time of both matches so you can tuck into those on the side of some food from T’Arricrii and Cyprus Kouzina. And when the rugby finishes we’ve got not one but two DJs to keep the party going! Andrea Trout will be playing under the cover of the Mancunian Way and Duncan from the Dutch Uncles will be playing in Öl. So come and join us for a super St Patrick’s Day pre-party!